©Barry Sandland/TIMB – Bikes built for two – and the times when the second is missing. “I have a friend staying at my home and I just dropped them off at the Metro. And now I am meeting up with another friend. It is great to use alone. You avoid the traffic jams in the city, it is practical and proves itself when you meet up with a friend and they can travel with you on the bike.” Photographer’s notes: I have never ridden a tandem. Not once, I think. I love seeing them on the road, the length and the idea of closeness with your travel partner. Of course, then I think about the constant closeness with your travel partner. This one seems to have the right idea. Closeness until the Metro, then off you get. 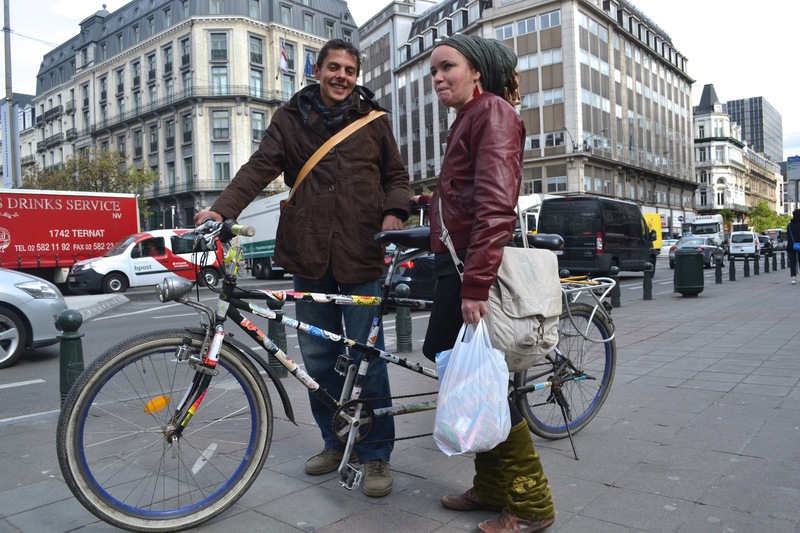 This entry was posted in city bike, commuter, Europe, family, tandem. Bookmark the permalink.